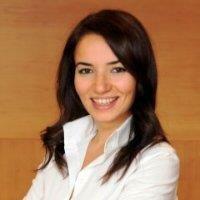 Ozlem Soyturk serves as the Corporate Controller of Endeavor Schools. She leads the company’s corporate accounting, financial reporting and internal controls functions. Prior to Endeavor Schools, Ozlem served as the Technical Accounting Manager at Hertz, where she was responsible for complex accounting issues and international accounting policies. Before joining Hertz, Ozlem worked at PwC Toledo, Detroit and Istanbul offices for over 10 years. She was the Transformation Leader at PwC, where she was responsible for implementation and monitoring of continuous improvement opportunities for Greater Michigan Market. During this time, she also served as the Assurance Manager and led multiple Fortune 500 company audits. Ozlem received a B.S. in Economics from Istanbul University and received certifications from the Department of Accounting and Business Law at the University of North Alabama. Ozlem resides in Miami, Florida with her husband and daughter.